The most common question I've gotten in the last 24 hours, both on my blog and elsewhere, is what we're going to do with all those apples. Thankfully, I received an apple peeler, corer, slicer for my birthday. I actually had one ages ago which disappeared in a move, and I have to say that I sort of prefer the clamp of my old one rather than the suction cup base of this one. 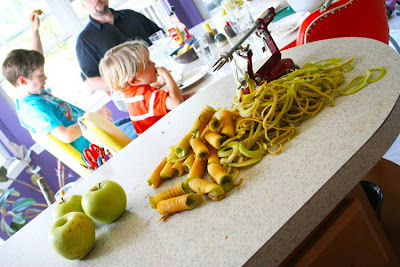 The suction only last for 3-4 apples then I would have to re-stick it, which is a pain with apple juice covered hands. Either way, this is a fabulous invention because it takes infinitely less time to process the apples this way! And it has the added benefit of pleasing the kids. You can see Paulie in the background eating one of the long strings produced by the peeler. Elizabeth prefers her skins spaghetti style. 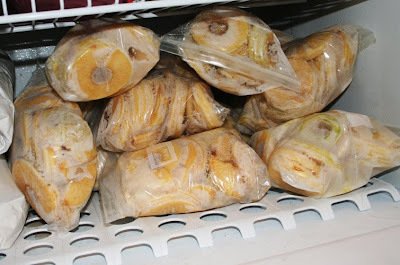 The rest of the peeled, cored, sliced apples made a large pot of applesauce last night and went into 16 quart bags so far to make applesauce in the winter. I'm hoping to have 25 quarts of frozen apples when I'm done and about 3/4 of a bushel of apples left for eating. We are certainly enjoying our crisp, sweet bounty! PS. 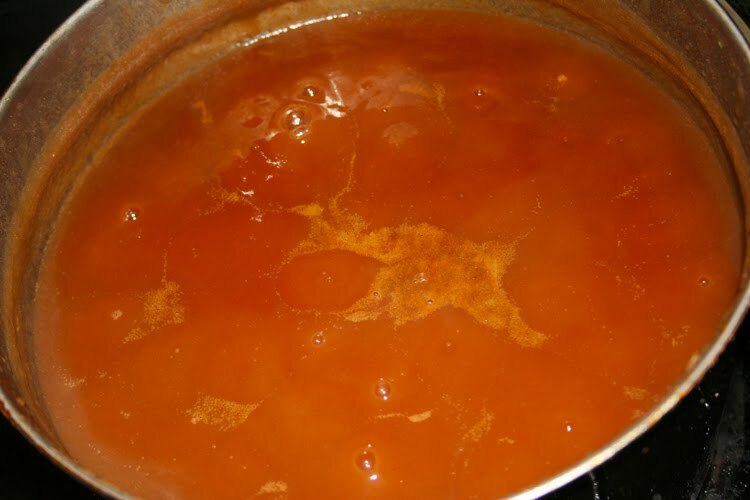 I sort of made up my own recipe for the apple butter. I used 12 lbs of apples (which was 25 large apples), 2 cups apple juice, 1/2 cup brown sugar, 1 tbsp cinnamon and 1 tsp cloves. Cook over medium heat until the apples break down to apple sauce, process in blender and return to pot. Simmer for 9 hours and counting. :) I'll keep you posted on how much apple butter I end up with from this batch. Gorgeous color in all of your photos, Joy! 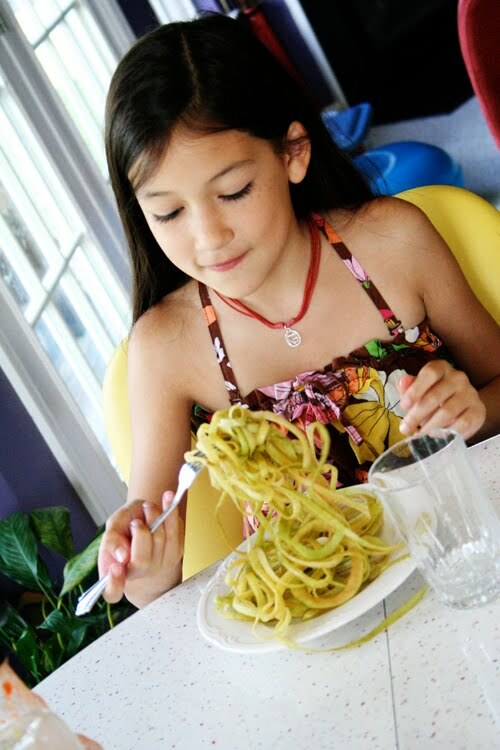 I especially love the one of Elizabeth eating the skins spaghetti-style -- adorable! I can't wait to hear how your apple butter turns out. Wow, you are industrious! We have the same apple peeler thingy. I agree, it works well but the suction cup isn't great. Enjoy your harvest! Thanks Joy, apple butter is one of my favorite spreads. Oh wow, what an apple feast!!! Amazing how much you were able to produce. We are also planning a visit to the orchard next weekend. It most likely that all our apples will turn into apple crumble though. i don't know what we'd do with out our spinner/corer/slicer thing! Our freezer looks very similar! i love the apple skin spaghetti!! 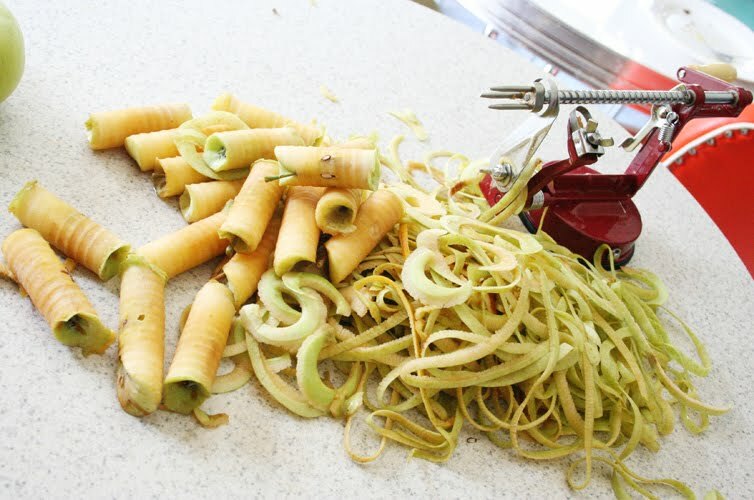 Hey, we've got the same apple peeler/corer! :) My kids love to eat the "apple snakes". OK here I go....launching into Joy's Apple Butter :). I'll let you know in several hours, how it turned out.